The animals were spotted alongside the road in Arundel. 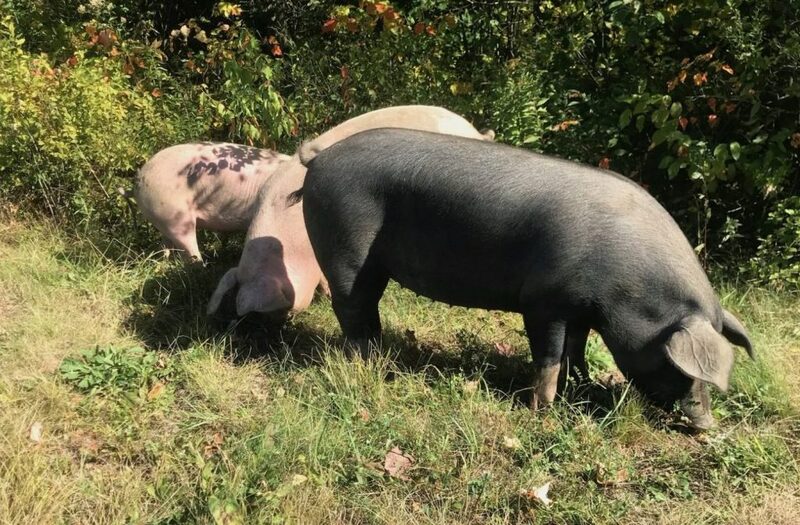 A Maine State Police trooper was able to keep a quartet of hogs off the Maine Turnpike on Thursday afternoon. The hogs were reported alongside the Maine Turnpike, near the northbound lane, in Arundel, a state police dispatcher said. A trooper managed to keep the pigs away from the road until the owner could be located. A maintenance crew spotted the hogs – a large gray pig and three smaller pigs – munching grass near mile 28. The dispatcher said the owner was contacted after about 10 minutes and traffic was not affected.